You might think of beer when you think of Milwaukee, but the Wisconsin-based Bright Cellars Wine Club is driven to help members discover the world of wine. The company matches users with 4 new, unique bottles per month, based on answers to a special sign-up quiz. The company also provides more than enough wine options for the more seasoned aficionado as well. The plan is flexible and has a simple, straightforward pricing structure. You can pick from a wide variety of reds and whites from all types of grape varietals. There is a big emphasis on California wines, but you can also find wines from Australia, France, Italy, and beyond. No matter how acclaimed the wine is, it never costs more than $20 per bottle. 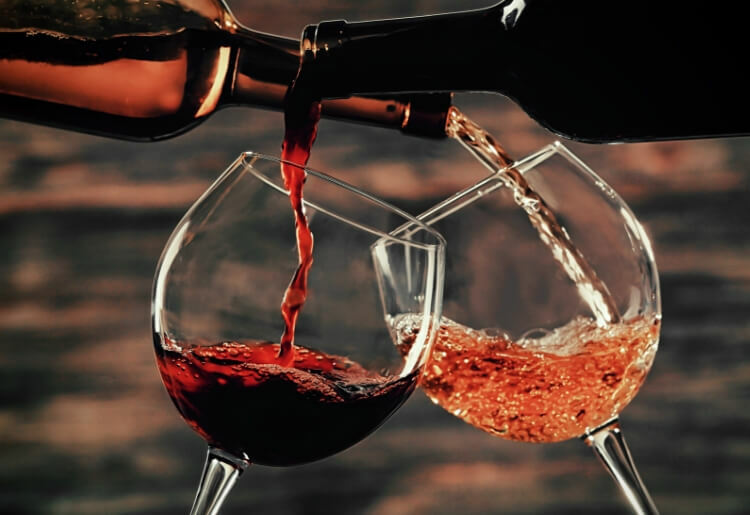 When you sign up with Bright Cellars you will first be asked to carry out a short, 7 question quiz to determine what types of wines you’re likely to prefer. These include questions like “what is the one type of chocolate you could eat for the rest of your life,” or how do you like your tea,” just to name two. It’s not a scientific test, but it should get you in the right direction. You can then peruse the wine selections chosen by the company, and change any that you don't like. You will receive 4 new wines matched to your profile each month for $80, plus $8 shipping and the sales tax that corresponds to your area of residence. The company is very flexible, and you can suspend or skip orders, or cancel your membership at anytime. This is a full-bodied, bold red blend that is chock full of fruity flavors, though despite the name, none of these fruits appear to grow on the Cannabis Sativa plant. This wine also gets aged 3 months in bourbon barrels, which gives it a nice smoky flavor. Goes great with: Pot roast, grilled steak, watching an old Cheech and Chong film with friends in 2019. Lock the doors and draw the blinds, because this Zinfandel is a world all its own. From Lodi in California’s Central Valley, Hideout has a fruity, peppery note that is sure to please. This medium-bodied chardonnay is creamy and loaded with ripe, tropical flavors. The bottle has a brilliant picture of venus fly traps, but it won’t bite, not in a bad way. Goes great with: A camembert and brie plate with crackers, pasta with lobster and cream sauce, showing the summer that you are prepared. Bright Cellars makes it easy to give the gift of wine, though the options are relatively limited. You can purchase a 1, 2, 3, 6 or 12 month wine membership for someone, at the cost of $75, $150, $225, $450, or $900, respectively. You can also do bulk orders for multiple people. The company does not allow you to purchase gifts of single bottles of wine or gift baskets of any sort. That said, the company also has an online store that features t-shirts, slate cheese boards, and slate wine coasters which you can order as a gift. If you have any questions about your Bright Cellars membership, you can easily fill out an online contact form or send an email to concierge@brightcellars.com. You can also give them a call at 844-223-5527 during regular office hours, Central Standard Time. Bright Cellars offers an easy, straight-forward, low commitment wine club option that is suitable for all types of wine lovers—from novices to true oenophiles. The club puts effort into knowing what types of wines you’re likely to enjoy, and keeps the prices reasonable.